The BET original series One Shot is trying to find the next great rapper, and after the Season 1 finale airs on Sept. 27, we'll see if the show works as a launching pad for new artists. But if it succeeds, will One Shot return for another season to launch the career of another aspiring artist? BET hasn't announced whether it plans to bring this series back for another season, and there's been no word from its creator and head judge KXNG Crooked about whether or not he's interested in trying out another season. The ratings for the first season of One Shot weren't especially notable, as according to Showbuzz Daily, recent episodes have only garnered .14 million viewers. When it comes to other forms of engagement, One Shot is also a bit lagging, since the series isn't the target of a particularly vigorous live-Tweeting campaign or any other social media passion. All of that ambivalence means that future seasons of One Shot may be unlikely and waiting to find out whether it will return could be highly stressful. Luckily, music-themed series are all the rage right now so there are a handful of other shows about hip hop right now, and even more that are about making it in the music industry. And there are even a few reality singing/performing competitions left on TV. Empire might not be the most realistic depiction of the music industry, but it has fantastic songs (I'm still hung up on "Drip, Drop") and the cast is filled with some great vocalists, especially Jussie Smollett. In that sense, it's a different kind of launching pad for talented artists as the cast members and guest stars will undoubtedly go on to have impressive careers. Actually want to learn something about the dark side of looking for money and, well, Power through the music industry? This series, which just wrapped up its third season, is a dark, actually pretty fantastic family drama, and it has a great new villain in Anika Noni Rose. Atlanta very specifically chose to make Ern the manager to his rapper cousin, which puts him at the crossroads between ambitious and delusional. In one of the show's first episodes, Paper Boi has to explain that being a rapper doesn't mean being rich. It means, hopefully, getting some creative catharsis and maybe negotiating some radio play, breaking stereotypes about what you would think about making it as a rapper. Though many singing competition shows have come to an end, The Voice remains and manages to stay successful because it's not really about the contestants. It's about the coaches, who are a rotating dais of celebrities. The latest additions are Alicia Keyes and Miley Cyrus, who have already gotten this season off to a great start. I'll be recommending this Netflix series for as long as I live, and then, from beyond the grave. It only consists of six episodes so far, has a killer soundtrack and truly cinematic direction, is streaming on Netflix, and will be returning for more episodes. And if you're a fan of watching new rappers find their voice in One Shot, this show is all about exactly that: creative teenagers discovering the literal genre of hip hop in the 1970s, the decade that birthed it. This series just had a sort of soft opening, by releasing its pilot on HBOGo in advance of its scheduled premiere on Oct. 9. Already, the lead character, Issa, played by creator Issa Rae, expresses her angst about her love life, friendships, and terrible job through rapping, and she even attends an open mic night in the pilot. It's unclear whether that will remain a major thread throughout the series, but Insecure already has a lot of potential and has worked rap into its story of self-discovery. 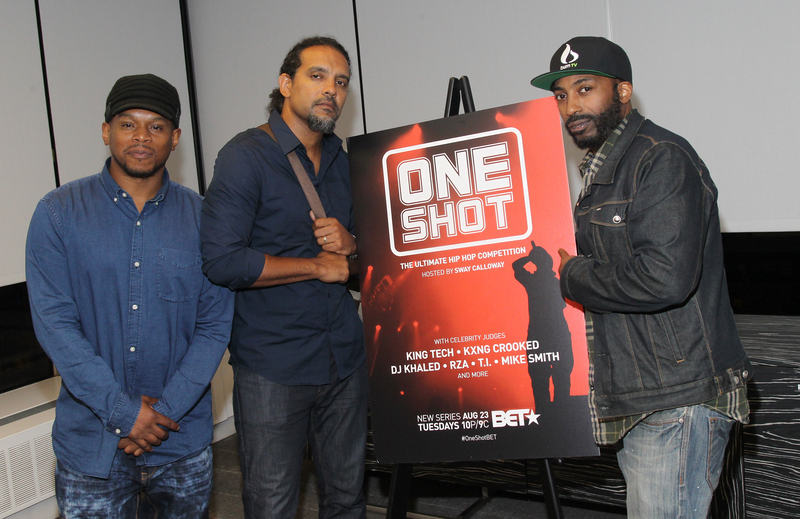 While One Shot could still return to BET for more seasons in order to find the next next great rapper, the show's somewhat tepid reception means that nothing is guaranteed. However, that shouldn't stop you from watching plenty of hip hop-themed shows this fall and beyond.